This entry was posted in culture, travel and tagged buddhism, Cambodia, culture, photography, religion, travel on February 8, 2017 by tuckerelliot. Vĩnh Tràng is a Buddhist temple in the Mekong Delta village of Mỹ Hóa. In the 1800s, the French coveted Mỹ Hóa because of its strategic location between the Mekong River and Old Saigon — and for that same reason, this beautiful area was the focal point of countless military campaigns during the Vietnam War. This entry was posted in culture, the rainy season, travel, vietnam and tagged buddhism, buddhist temple, culture, Mỹ Hóa, mekong delta, pagoda, photography, travel, vietnam, vietnam war, Vĩnh Tràng on October 15, 2016 by tuckerelliot. 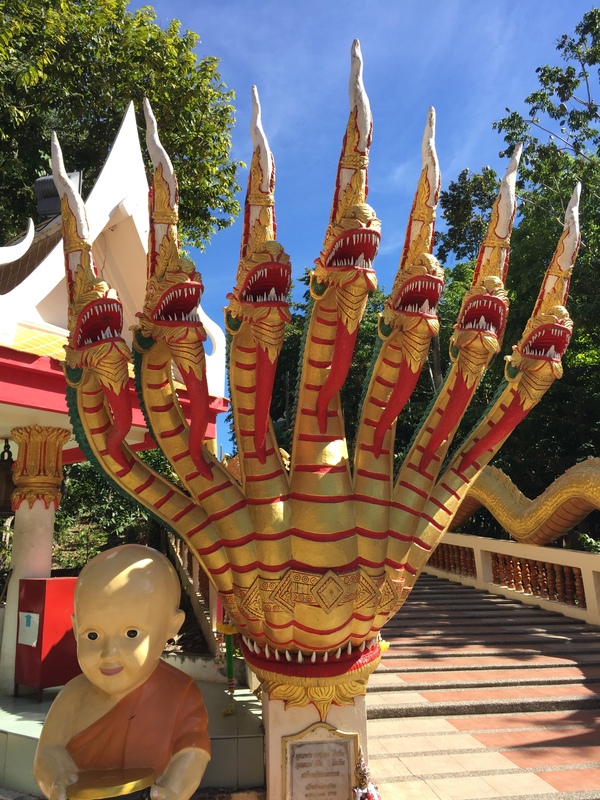 The seven dragon heads in front of this Buddhist temple in Chonburi, Thailand don’t creep me out, but the smiling boy-sized monk statue sure does. This entry was posted in culture, travel and tagged buddhism, culture, monk, temples, thailand, tourism, travel on October 9, 2015 by tuckerelliot.